↑ Seibold, Chris. 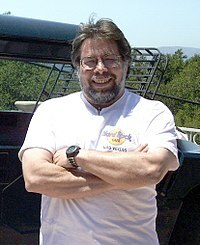 This Day in Apple History December 28, 1989: Woz Gets Honorary Doctorate, Dish Incident Forgotten. Посетен на 31 юли 2007.